Michael Halliwell studied music and literature at the University of the Witwatersrand in Johannesburg, and at the London Opera Centre with Otakar Kraus, as well as with Tito Gobbi in Florence. He has sung in Europe, North America, South Africa and Australia and was principal baritone for many years with the Netherlands Opera, the Nürnberg Municipal Opera, and the Hamburg State Opera. He has sung over fifty major operatic roles, including Don Giovanni, Papageno, Count Almaviva, Gugliemo, Posa, Germont, Gianni Schicci, Ford, and Escamillo, and has participated in several world premieres and had frequent appearances at major European festivals in opera, oratorio and song recitals. He has published widely in the field of music and literature and is Vice President and Editorial Board Member of The International Association for Word and Music Studies (WMA), regularly giving lectures and seminars on the operatic adaptation of literature into opera. His book, Opera and the Novel, was published by Rodopi Press (Amsterdam/New York) in 2005. 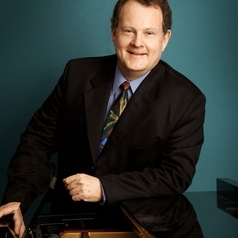 Currently on the staff at the Sydney Conservatorium of Music, he has served as Chair of Vocal Studies and Opera, Pro-Dean and Head of School, and Associate Dean (Research). A double CD of settings of Kipling ballads and Boer War songs, When the Empire Calls, was released by ABC Classics in September 2005. His recording of Australian settings of Shakespeare, O for a Muse of Fire, was released by the Australian Music Centre in April, 2013. He has recently premiered Lawrence Kramer’s song cycles, Five Songs and an Epilogue from The Wings of the Dove (Edinburgh), Nine Songs to Ezra Pound (Vienna), Crossing the Water (Santa Fe), and Sounds and Silences (London).